I just moved to a bigger apartment (one more bedroom, so Sonja can have her own room) and started to look at wallpapers for the bedroom. 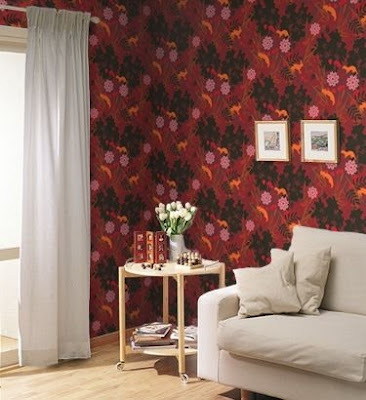 In all other rooms I want just plain white walls but in the bedrooms I want colourful wallpapers. 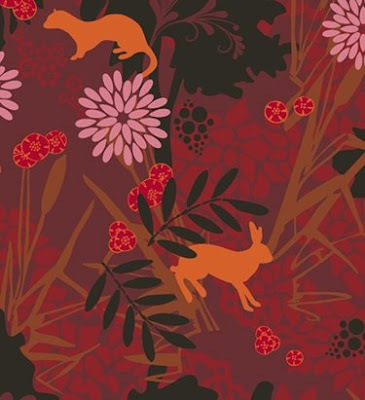 My favorite is a wallpaper designed by Hanna Waerning from her 2006 years collection "Hanna", manufactured by Borås Tapeter. You are absolutely right the wallpaper by Hanna in discussion is simply beautiful and it is looking so good on the wall behind that plain sofa.